United Way and Willis Dady work together to reduce homelessness. One important way to do this is to prevent families facing eviction from becoming homeless in the first place. Below is one story from our partnership. Willis Dady: We fight for families facing homelessness. Our Prevention Advocate met a woman named Carrie, who called because she had fallen behind on rent and faced eviction. 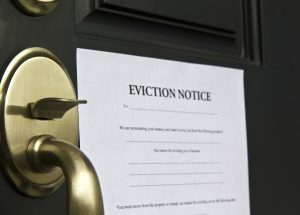 Normally, with eviction notices, we immediately think of the impact an eviction will have on people living in that household. However, in Carrie’s case, an eviction would have put five other families at imminent risk of losing their housing, as well. This is because Carrie provided in-home daycare to low-income families who rely on Iowa’s Block Grant to pay for their daycare. Carrie receives government funds to provide daycare to children from different families, who otherwise can’t afford it. These families are living paycheck to paycheck; they don’t have availability to take a day or more off work to find another daycare, they don’t have ability to pay for someone else to watch their children until there is an opening at another location, and they cannot afford to fall behind on their own rent. Carrie had fallen behind on rent because the daycare provider qualifications for the Block Grant changed. She needed to become certified in a couple of new areas, and she needed to renew her First Aid certification. While Carrie was working to complete the new qualifications, she worked for free so families whose kids she cared for didn’t end up in a bad situation. When our advocate first spoke to Carrie, she had completed the new qualifications and was waiting for her pay to be reinstated. She was expecting it to come at the beginning of December, but had no way to pay November’s rent. Thanks to the assistance from the Linn County Housing Fund, our advocate was able to talk with her landlord and negotiate a payment plan for the remaining portion of the overdue rent. Since then, her landlord dropped the eviction charges, and she is financially stable moving forward. Without the help we were able to provide her, she was anticipating going through the eviction process and ending up in a shelter with her four children. She had no idea what would have happened to the other families who would have been immediately affected by the loss of her childcare business. All it took was a little financial help and advocacy to get her back on track.